The exciting ‘Tour-de-Vet 3’ fundraising-event will take place this September 2016 in aid of the Vet Trust and VetLife charities. VetTrust are very grateful to Mike Brampton, The Owner & Director of Thames Medical for making this generous offer and undertaking this gruelling (he says not!) challenge. He and his co-cyclists & Speakers will be cycling not only the ‘North Coast 500’ route but in addition they hope to visit Practices in Fort William, Skye, Stornoway & Orkney as well as a plethora of Veterinary Clinics along the Morayshire and Northeast Coast of Scotland. The 1000+ km trek will finish in Aberdeen on 23rd September 2016. The cycling team intend to visit each Practice individually and present relevant certified CPD topics in-house for the Vets and Vet Nurses. (Some Practices have opted for joint sessions with neighbouring Practices). Alistair Hutton-Moore , Soft Tissue Surgery. We have been asked “how much should the donation be for a session?” This is a fair question, and it is suggested contributions should be around £300+, but this is for guidance only. 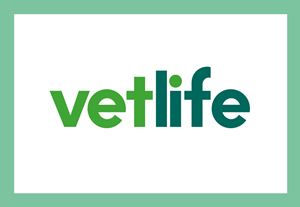 All money raised will be shared equally between VetLife and The Vet Trust Charities.